Regular readers of 5:4 will know of my interest in the music of both Ryoji Ikeda and Steve Peters. Later this week i have the privilege of directing works by both of these composers, at the next concert given by my ensemble, Interrobang. In the first half, we’ll be presenting the UK première of Ryoji Ikeda‘s gorgeous Op. 1, one of his only works for instrumental forces (alongside Op. 2 and Op. 3, also for strings). Op. 1 has been played by Ensemble Modern, but doesn’t seem to have been taken up by other groups, which seems strange considering how lovely it is. Also in the first half will be the first performance of my own L’Ensemble Mystique (Book One), a suite of arrangements of music by Charles Tournemire, for chamber orchestra. Tournemire’s music is all based on plainsong, and the original chants will also be sung at the concert, putting my arrangements into context. 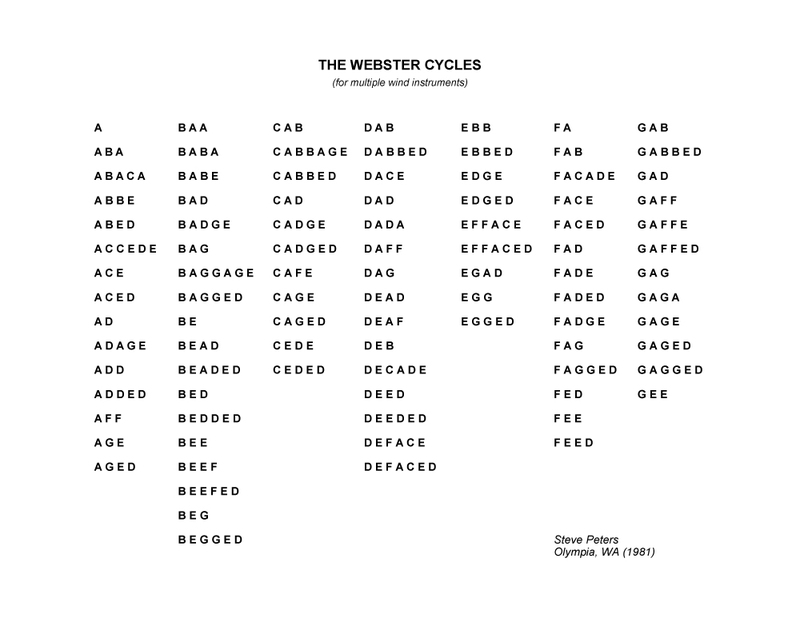 The second half is entirely given over to the UK première of Steve Peters‘ The Webster Cycles, the CD of which came almost top in my Best EPs of 2008. It’s a mesmerising piece that takes words from the Webster Dictionary and turns them into abstract melodic fragments, which overlap each other in aleatoric fashion. The concert takes place at 7.30pm on Thursday 6 May, in the Recital Hall of Birmingham Conservatoire. There will also be a repeat performance of The Webster Cycles the following day at St Martin’s in the Bullring, starting at 12.30pm. It would be great to see any readers of 5:4 at these concerts—do make yourselves known if you’re there!